Loei is a province in the northeast of Thailand. Its geographic features are like the North, that is, there are mountains with cool temperature and fog. One place that is popular among travellers who love challenging experience is Phu Kradung National Park. 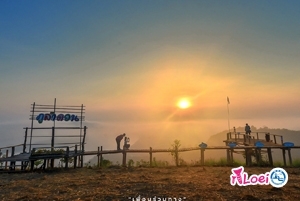 It is said that the couples can prove their love by going to the peak of Phu Kradung.